There is nothing more important to a parent than the safety and well-being of their child. One of the many ways to protect your child is to find the right medical professionals to trust to take care of your child and help them grow up to be a strong, healthy adult. Use our tips below to help you choose the right dentist for your child and ensure that their oral health is taken care of! Do Your Research– In this day and age, there are several resources available to help you make tough decisions such as which dentist to choose. Take advantage of these resources and read reviews from other patients to get a better idea of what to expect from this dentist and their office. Choose a Pediatric Dentist– Choosing a pediatric dentist calms several worries you may have in picking the right dentist to make your child feel comfortable on their visit. 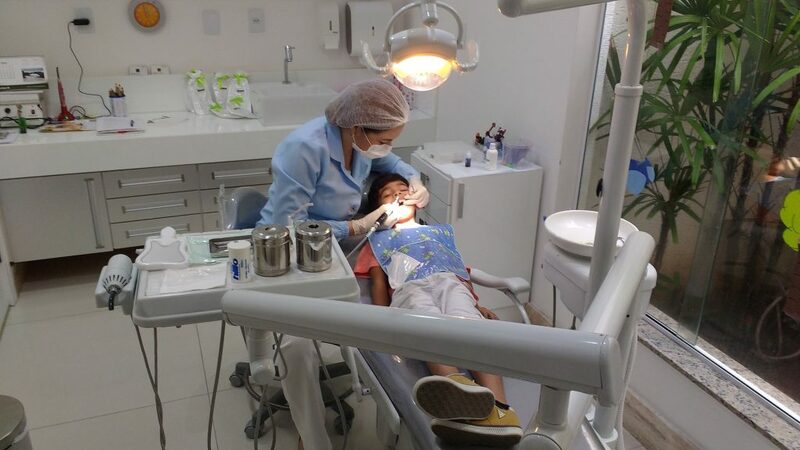 By choosing a dentist whose entire practice is dedicated to children, you can already expect the atmosphere to make your child more relaxed while they receive the dental attention they need. Location– Finding a dentist relatively close to your home will make your life much easier. On average, children should go to the dentist at least twice a year for cleanings and examinations but you will add to this frequency if your child needs additional dental treatments such as filling cavities. If you have more than one child, you will surely add to this frequency. When doing your research, try to find a pediatric dentist within 20 minutes of your home to make these trips easier. Emergency Care Available– Though it is rare for children to experience dental emergencies, it is best to choose a pediatric dentist who will cater to your child’s needs when necessary. Trusting your child’s dentist will be easier when you are sure they will be there for you when you need them most. ABC Dental in Peabody, MA is Greater Boston’s leading pediatric dentistry and orthodontist. Contact us today to schedule an appointment for your child!